258 product ratings258 product ratings - OTTERBOX ARMOR WATERPROOF PHONE CASE FOR IPHONE 5/5S/SE NEON New!!!! Designed and made by OtterBox. Genuine/OriginalCase for iPhone 5 & iPhone 5 & iPhone SE. A case or cover for an iPhone 5 can help protect against minor scratches and drops, and some may even come with a built-in screen protector. 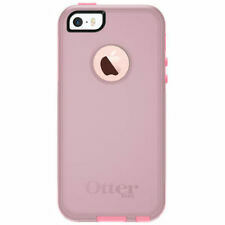 You can find cases and covers for the iPhone 5 in many colors such as pink, blue, black, and purple to name a few. 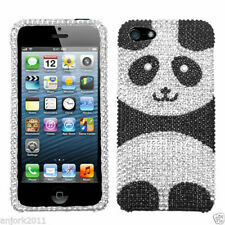 You can also find cases and covers for the iPhone 5 with different finishes such as glossy, matte, clear, metallic, and patterned. What are some available iPhone case features? 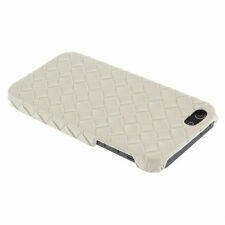 iPhone 5 cases and covers are created for various forms of style and protection. 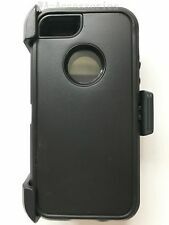 An OtterBox case is thick with a protruding lip around the edges of the phone. Fashion cases or covers are made of hard plastic for a thin, sleek look. Various features can be found. Ring: Used as a kickstand for the phone as well as to hold when taking selfies. Pocket: Provides a storage space for holding ID or a credit card. Belt clip: Clip your phone to you or a bag. How does the case fit on the iPhone? The way the iPhone cases fit the iPhone 5 will depend on the type that is purchased. The description will disclose if there is one piece or multiple pieces, and how to put it on the device. Shell: Protective cases often fit together like a clam shell, with two or more pieces that connect together around the phone. Snap-on: Many are one-piece and clip onto the back of the iPhone. Wrap around: Wallets will wrap around the smartphone as will vinyl skins. What should you look for when shopping for a case? Type of iPhone case: Variables like hobbies, extra curricular activities, job location and travel patterns should all be taken into consideration when deciding on a case or cover. Carefully select an option that meets your protection needs. 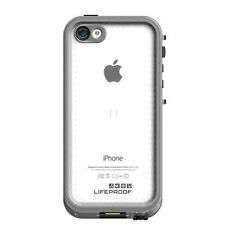 Features: Review the features to make sure the case will fit your iPhone 5 and will provide the level of protection you want. Design: Explore the designs and overall finishes of different cases and covers to be sure the case is something that will be usable and that you will not regret purchasing.